Chocolate truffles are heavenly treats which devilishly melt in your mouth. Surprisingly, truffles are easy to make at home and they make romantic Valentine's gifts or fabulous petits fours. Chocolate truffles are usually made with a creamy chocolate ganache centre, coated in chocolate, chopped nuts, cocoa powder or icing sugar. The filling can be replaced with cream, nuts, berries, fruits, nougat, fudge, liqueur and more. Classic ganache truffles are a great way to explore the flavour notes of the best cacaos as they hang perfectly in the cream. If you find you prefer truffles with intense caramel notes to more lively, fruity ones, you might want to use that chocolate to make other sweet treats like mousses as well. 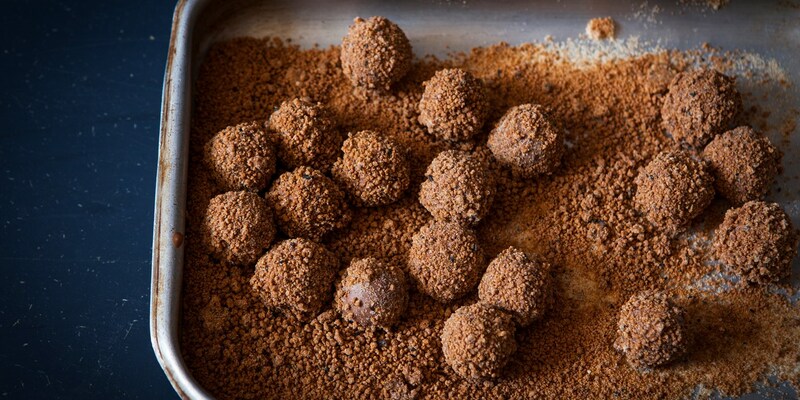 Browse our collection of chocolate truffle recipes for inspiration, including Chris Horridge's Dark chocolate truffles, Colin McGurran's Chocolate truffle lollipops (the perfect treat for kids) and Bruno Loubet's Chocolate and Drambuie truffles.